JE SUIS JUIF Shirts, Buttons, Bags - Say No To Anti-Jewish Racism - Show Your Solidarity! 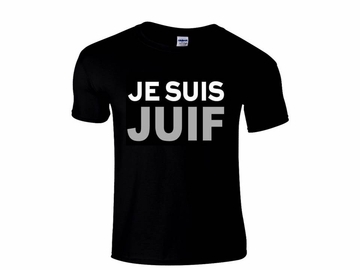 Home > JE SUIS JUIF Shirts, Buttons, Bags - Say No To Anti-Jewish Racism - Show Your Solidarity! We are sorry we didn't post these when we offered the "JE SUIS CHARLIE" protest items on our web page last month. As the recent events in Denmark show the problem of anti-Semitism is an issue that must be aggressively addressed by the progressive movement. When Jewish schools and radio stations are forced to close down and synagogues repeatedly attacked it is well past the time for the peace and justice movement to close ranks and take a stand against these racist attacks. JE SUIS JUIF Buttons in three sizes- 1.25" 2" 3" - Say No To Anti-Semitism - Show Your Solidarity! 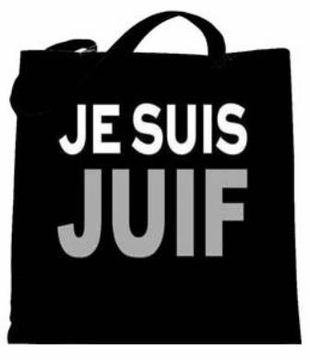 JE SUIS JUIF Tote Bags - Say No To Anti-Jewish Racism - Show Your Solidarity! 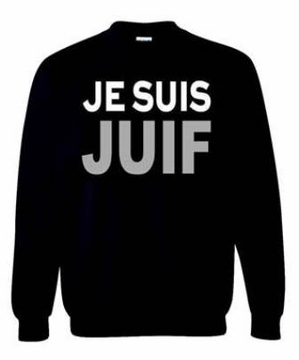 JE SUIS JUIF Sweatshirt - Say No To Anti-Jewish Racism - Show Your Solidarity! 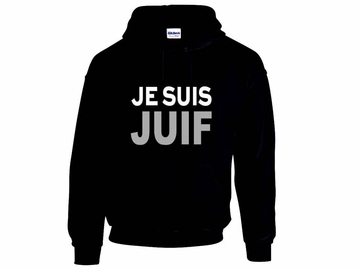 JE SUIS JUIF Hoodie - Say No To Anti-Jewish Racism - Show Your Solidarity! 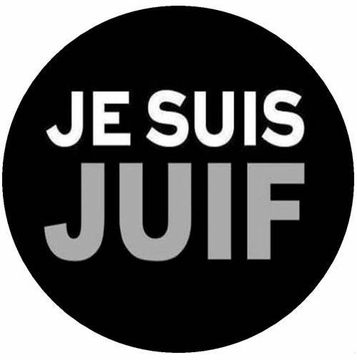 JE SUIS JUIF Magnet 3" - Say No To Anti-Jewish Racism - Show Your Solidarity!